AR Bookfinder (www.arbookfind.com) is a web-based search tool that was created for parents, guardians, students, teachers, and librarians to search for appropriate Accelerated Reader books. This database helps kids and parents find the next exciting book in a series or books on certain subjects. 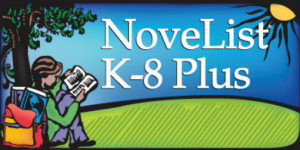 Readers can find read-alikes, author-alikes, and more using Novelist Plus. Use MyMediaMall to access downloadable audiobooks, ebooks and videos that checkout just like a library book. Download the Overdrive or Libby App on your digital device and sign in with your library card number. Mango is the fast, easy, and most effective way to learn to speak a foreign language! Log in with your library card number to being learning a new language. BiblioBoard lets you read award-winning juvenile fiction and nonfiction. You do not even need to log in with your library card to get unlimited access.